Table is an essential piece of furnishing. It can have various shapes and sizes. The tables come in various prices and brands. The price range is also from expensive to cheap. The tables can be a dining table, a desk like table or a coffee table. Coffee table is a piece of furniture to share the lovely family and friends moments over a cup of tea. The apparently simple piece of furniture is important to have happy moments together so it becomes a happy part of decor. 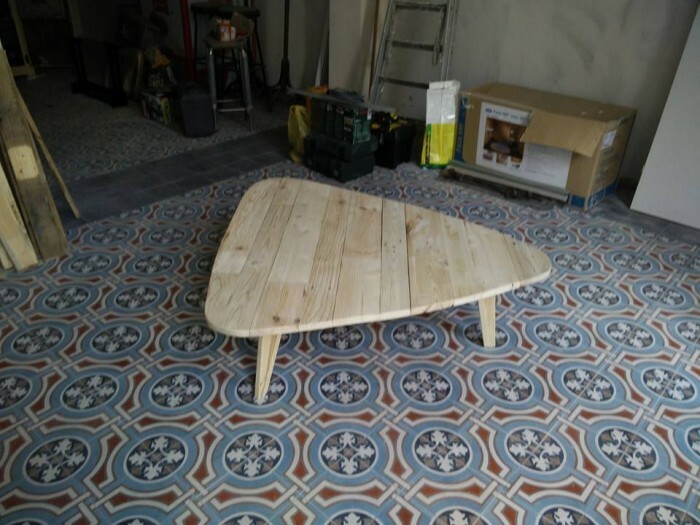 DIY coffee table from Europe pallet is a beautiful addition for your furniture.The EUR-pallet or Euro-pallet is the pallet accepted by the European Pallet Association (EPAL). The EUR pallet is 47.2 in × 31.5 in × 5.7 in. It is distinguished for being a four-way pallet created out of wood that is nailed together with 78 special nails in a special way. General Instructions: It is a must to read carefully the entire plan and understand the instructions carefully before starting this project. Take a review of the Getting Started Section. Take all precautionary measures to stay safe and act smartly. Work on a clean and levelled workplace avoiding imperfections due to debris. Use straight boards. Create the topboard by aligning the planks. Closely place the planks together for the top board. Nail them together. Sand them for making it smooth. Attach short legs to the top board. The beams for legs should be strong enough to hold the weight of the table. 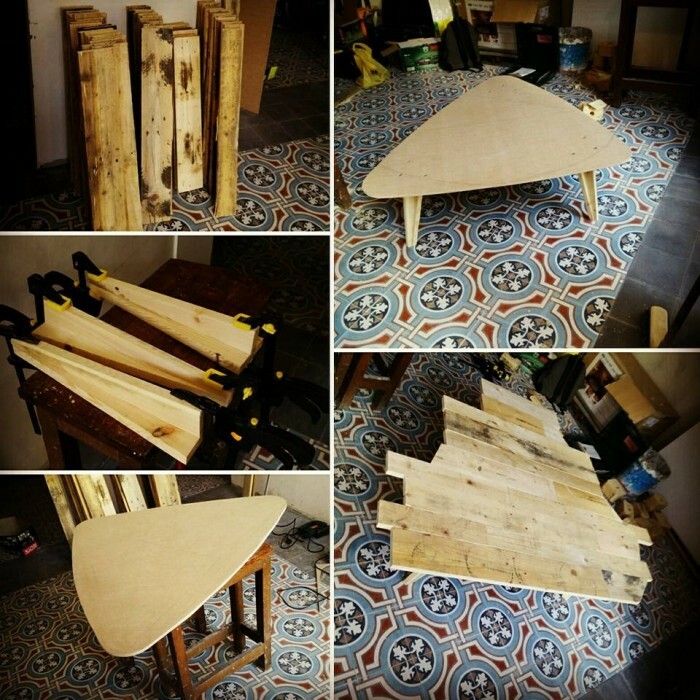 The table will be shaped into a triangle so we will be needing three legs in a position to balance the triangle. Attach the legs in the accurate place with the nails. 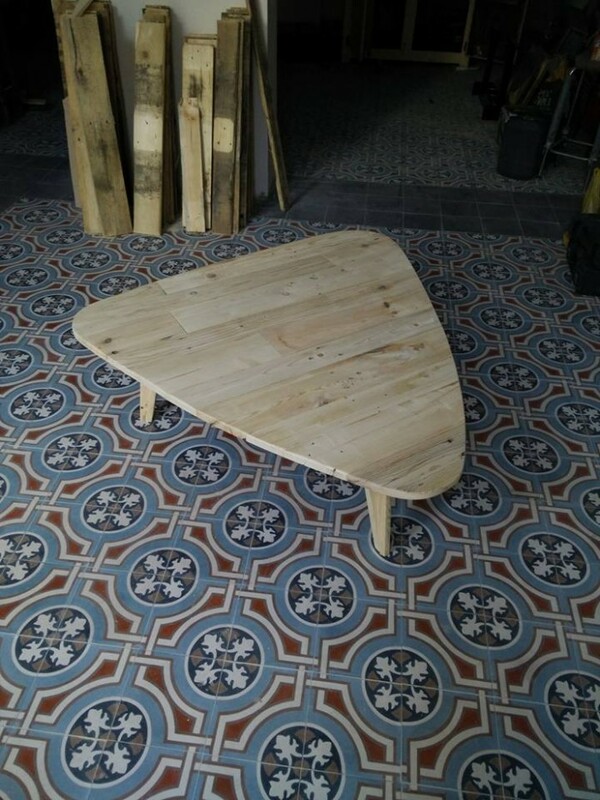 After fixing saw the table to make an accurate triangle as in the figure. The table should have rounded corners which can be obtained by sanding the corners. The table needs to be varnished to enhance the rustic look. So create your DIY COFFEE TABLE FROM EUROPE PALLET and enjoy a hot coffee in chilly winters.